Fifteen years ago on September 11th, 2001 the world changed forever and so did my life. 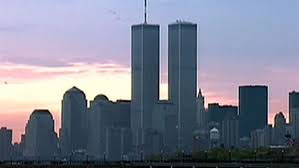 Most of you likely know that I was in NYC on that fateful day, Ian was on a flight to Chicago, Spencer and Chloe were at school in Canada… and the planes crashed into the twin towers. Time stood still while everything changed. Fifteen years ago the focus of my life was the success of my marketing company, my family and my happiness. Yes, I believed in Jesus, but he certainly wasn’t the focus of my life. I guess you could say he was on my Top 10 list? Fifteen years later I can safely say first and foremost that I am a follower of Jesus. Ian and I are living in Swaziland, while Spencer is finishing University in the US and Chloe is in second year University in Canada. We are the legal guardians of 138 Swazi children under the age of 6-years, with a new baby arriving on an average of every seven days this year. Fifteen years later I have put on weight, see more grey hair every month and am not quite as fit as I used to be, but I sleep very well at night, I no longer suffer from stress headaches and I am okay looking in the mirror. Fifteen years ago today I was out clubbing in New York City with my clients from Kellogg’s Canada. We were bar hopping in The Village enjoying the nightlife, not knowing that the world would change in the morning. Tonight I will sit on the patio of my house looking out over our 2,500 acre farm in the tiny Kingdom of Swaziland, Africa, knowing that tomorrow morning I will hear the voices of 86 children between the ages of 3-years-old and 5.5-years-old singing songs of joy, of hope, of love and of peace. A lot can happen in fifteen years, and I am a living, breathing testament to what can happen when fear, pain, selfishness and greed are turned to joy, hope, love and peace. This has been a long hard journey, but I wouldn't change a single step of it. I have tears (again) pouring down my cheeks as I type this because today fifteen years ago seems like yesterday. When I hear people on the news talk about 911 it is still as raw to me as it was fifteen years ago. But then I look up and see where I am, and my peace is restored. Thank you for allowing me to share so much of my journey with you over these past few years and thank you for your love and support. Jesus always restores my joy when I have dark day and he brings me hope when things seem hopeless. Of all the lessons I have learned, I am most thankful for the knowledge that He is always with me. Always. Live from Swaziland … remembering 911. I was so blessed listening to your story just a few months ago as we sat looking over the farm. I had heard some of yours, but I hadn't heard Ian's. One thing I took away is how faithful God is to pursue us even when we sometimes would prefer to run and hide and how peaceful (although not always easy) it is when we submit. Makes you wonder why we sometimes fight Him so hard, doesn't it?